It's funny how wedding planning has become a roller coaster. After pushing up the incline of finding a venue (2 breakdowns), a wedding dress (0 breakdowns), bridesmaids' dresses (0 breakdowns), a photographer (0 breakdowns), and a videographer (0 breakdowns). I felt like I'd found a resting place. I could safely turn my attention to, well, just living again. But wedding plans always find a way of pushing forward just when you think you've earned a break. My family came up for a bridal show, which reignited planning. My grandfather came to supervise his girls! He is a hoot. 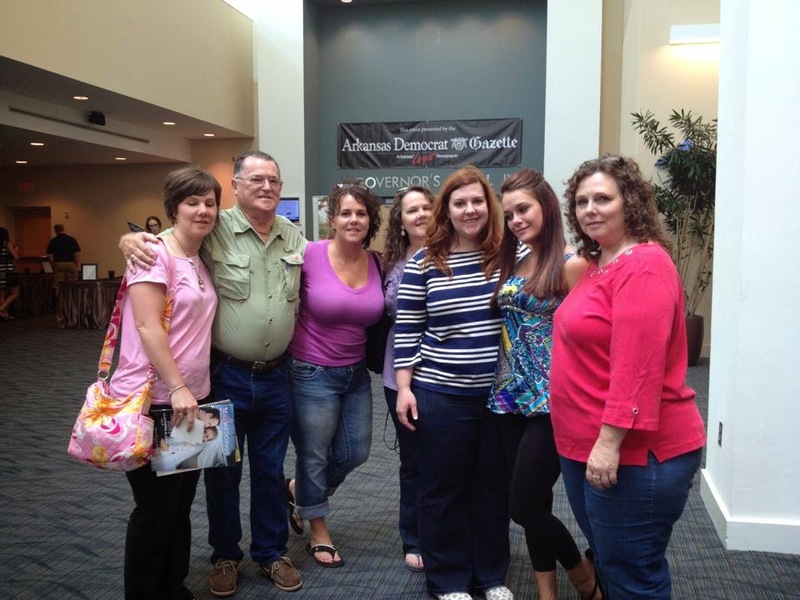 All of my Mom's sisters and my cousin also joined me. I have to say, it was nice to see everyone! But...I don't think I was prepared for the bridal show itself. We wanted to meet vendors. Oh, did we meet vendors. They all wanted contact information in exchange for the chance to win shiny prizes. Translation: I am now the queen of spam mail. And I didn't win any shiny prizes. All things considered, it was a good experience. It's nice to have family around to discuss ideas. We were able to see several great decor ideas that would be easy DIY projects. The venue we've booked is gorgeous already. We will have minimal decorations to allow it to shine; however, I have been looking for centerpiece ideas. One of my favorite looks so far is glass with gold accents. Will has been recruited to help with this project. We're just beginning to experiment with patterns and textures so I'll have to post again once we've had time to pay around with this style a little more. 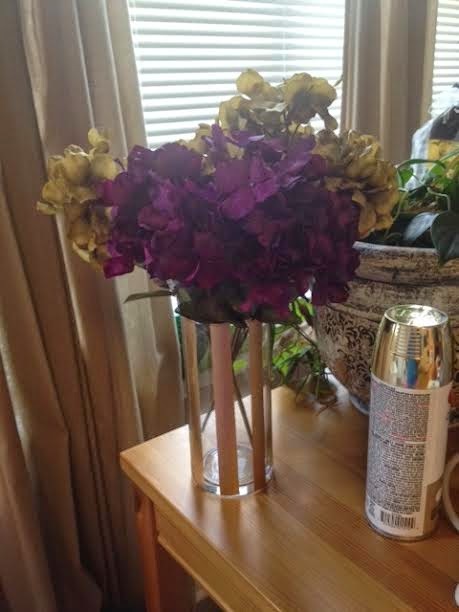 I made a Dollar Tree run and picked up several $1 glass vases. After taping off a few sections, Will spray painted the exposed glass gold. This picture doesn't do the project justice. (Oh, and those are just flowers I could find quickly - not wedding flowers. They are a little sloppy.) The vases look great. The gold is neutral enough to fade into the background when flowers are added; it's also flashy enough to add a nice bit of detail to the look. My next project will be adding texture to the look. 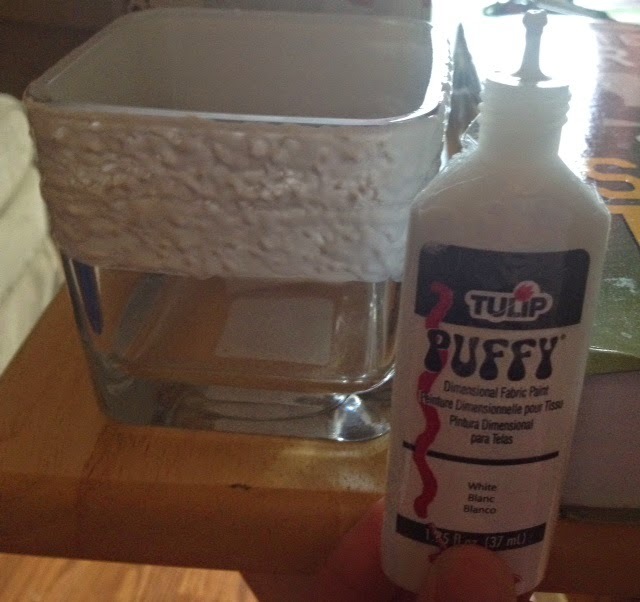 I have applied puffy paint to one vase. After it dries I'll spray paint the puffy paint gold. Here's to easy DIY projects! More to come later.